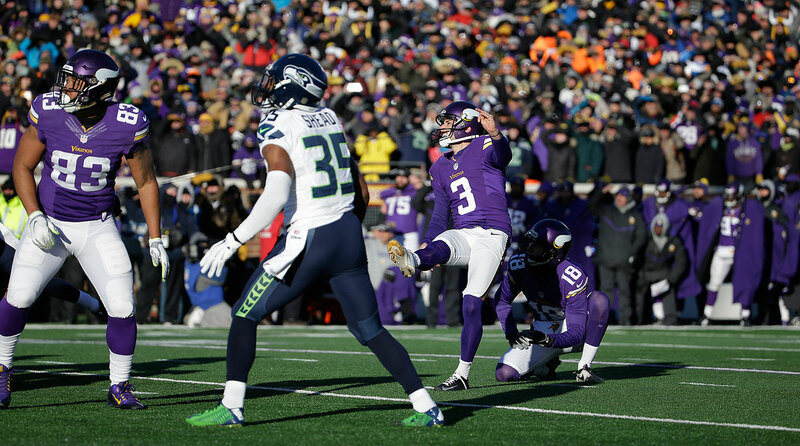 Blair Walsh was 30-for-31 on field goals inside 30 yards for his career before Sunday's fateful miss in the playoffs. Strange wild-card weekend. Four playoff games, four road wins, for the first time ever. Two games we’ll talk about all offseason, for different reasons—Seattle-Minnesota for playing in Ice Station Zebra and the big miss, and Pittsburgh-Cincinnati for showing us the good and bad (mostly bad) of rivalry football. One game, Kansas City-Houston, that reinforced the utter futility of the AFC South. And in the last game, Green Bay finding a pulse at Washington. • The key to the Adam Gase hire in Miami. • Why it’s highly unlikely Marvin Lewis is going anywhere. • The Browns coaches did not leave happy. • Impatient owners today versus yesterday? A myth. • Relocation fee for the L.A. team or teams: $550 million. • Looking more and more like two teams for Los Angeles, but no guarantee it’ll get done by the end of this week’s meeting on relocation in Houston. • Interesting who isn’t on the NFL’s primary recommended list for coaching candidates: Patriots. Now back to Blair Walsh’s locker. Watching the kick over and over, it’s clear that, as in golf, bad things happen when you try too hard, and bad things happen when you try to kill the ball. Bad things, as in hurrying your stride and hooking the ball—both of which Walsh did. The snap was fine, the hold was fine (except for the part about the laces being in the wrong place at the time of Walsh’s kick), but the kick was way left, hitting the net to the outside of the left upright. Replays showed fans in despair. Walsh wanted to get it over with, so he began to address the media as soon as they were let into the Minnesota locker room. Not much anyone can say to Walsh. He knows what his miss cost a locker room and a city, and time’s all that can help now. 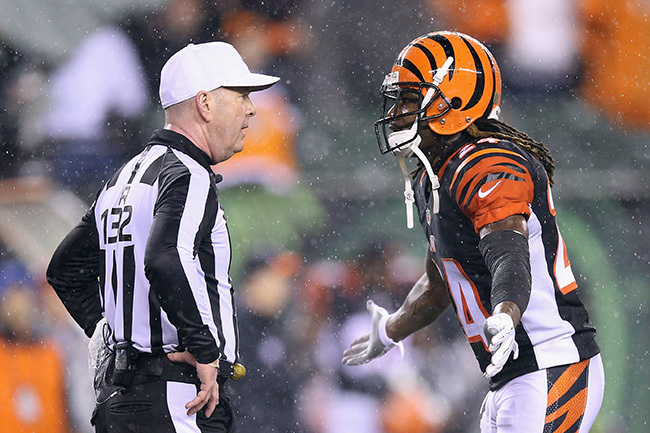 Adam Jones’ penalty capped the Bengals’ meltdown. There’s never a quiet January anyway, but add to the playoffs and coaching and front-office news the fact that one or two teams could move to Los Angeles this week and you’ve got, well, too much stuff happening to give it all the space it deserves. So here I go, short-shrifting lots of interesting items in the news. News item: About that Adam Jones penalty in Cincinnati ... Steelers linebackers coach Joey Porter, who caused the crucial unsportsmanlike-conduct penalty on Jones to happen in the final seconds Saturday night, should not have been on the field at the time. The league allows medical personnel and the head coach to be on the field; the reason Porter wasn’t shooed away, I am told, is that there was real concern for Antonio Brown as he lay on the ground after the hit from Vontaze Burfict that generated the first 15-yard flag on the play. Without the flag on Jones, the Steelers would have been at the Cincinnati 32 with no timeouts and 18 seconds left. With the flag on Jones, they were in position to try a 35-yard field goal by Chris Boswell. It was good, and Pittsburgh won 18-16. When Jones tried to get at Porter—stupidly, of course—Jones jostled field judge Buddy Horton, who threw the flag on him. If Porter was doing the trolling that Jones described on the field, he should have been flagged first, because he wasn’t supposed to be out there in the first place. But Jones, in that situation, had to be smart enough to walk away, and he wasn’t. The league has been telling officials to cut down on the offsetting penalties, to flag the instigator in cases where the two sides are both wrong. In this case, if Jones is correct in what he says about Porter, I believe Porter got away with instigating this. News item: So many other things from the Cincinnati debacle. I don’t see Cincinnati owner Mike Brown firing Marvin Lewis. Brown is not a knee-jerk owner; he’s more likely to be content with making the playoffs for five straight years for the first time in franchise history than he is to be in a firing mood because his team imploded at the end of this game. Remember that Lewis is the kind of coach Brown wants. The Bengals take chances on incendiary devices like Burfict, and Lewis keeps the lid on them (mostly) and gets production out of them. But the deal with the devil blew up in their faces in the final minute Saturday, with Burfict’s cheap-shot penalty inciting the mob scene … Burfict was already on notice from the league for a worse hit on Maxx Williams of the Ravens away from the ball in Week 17. I will be stunned if Burfict is not suspended for at least one game at the start of the 2016 season … No NFL team has such a drought in playoff wins as Cincinnati does. The Bengals last won a playoff game in 1990. Here’s how long ago that was: The playoff win was over the Houston Oilers. The next week, in Los Angeles, Bo Jackson suffered a hip injury that ended his football career and led to the end of his athletic career. News item: The Browns are not one big happy family. In their closing meeting with team brass, the outgoing Cleveland staff was told the team would not foot the bill for them to network and try to get jobs at the Senior Bowl. And the coaches were told they would not be allowed to purchase their two Super Bowl tickets, a perk of being an NFL player or coach, which they were under the impression they’d be allowed to do. So when those two bits of information were dropped on the coaches, most of whom have one more year left on their contracts, they were not pleased. Update, Monday, 12:45 p.m.: Over the weekend, the Browns informed the coaches that they would indeed be allowed their normal allotment of two Super Bowl tickets. Nothing has changed regarding the Senior Bowl trip, but the coaches now have their Super Bowl tickets. News item: Josh McDaniels and Matt Patricia, New England’s coordinators, are not on the league committee’s primary list of head-coaching candidates. In an effort to provide owners and front offices seeking head coaches the kind of information headhunting firms might provide, the league in 2013 established an eight-member committee that annually puts out a list of coaching and GM candidates. The list is designed to bring new names to the table and also highlight coaches the committee feels strongly would be good candidates. This year eyebrows were raised when offensive coordinator McDaniels of the Patriots wasn’t on the list; nor was the defensive coordinator, Patricia, though he wasn’t thought to be as strong a candidate as McDaniels. For some owners—Miami’s Stephen Ross for one—the exclusion of McDaniels was noted (the Dolphins hired one of the coaches on the committee’s list, former Bears offensive coordinator Adam Gase). Some other teams aren’t concerned with the list. McDaniels was 11-17 in his one head-coaching trial in Denver, and has returned to New England to head up one of the best offenses in football. McDaniels did make a shorter “secondary” list. Those on the primary list: former head coaches Hue Jackson, Tom Cable and Doug Marrone; Gase; current assistants Mike Shula, Sean McDermott, Vic Fangio and Teryl Austin; and college coaches David Shaw, Kevin Sumlin and Kirk Ferentz. In the three years I’ve nosed around about this list, the McDaniels absence was the most talked-about exclusion. The committee, I’m told, thought McDaniels was already notable enough and didn’t need the boost of a league group to push his cause. But Gase had more previous interviews than McDaniels and was considered the “hot guy” entering this postseason. It’s more likely that the head-coaching track records of previous Bill Belichick aides (which isn’t great) affected the McDaniels and Patricia decisions. 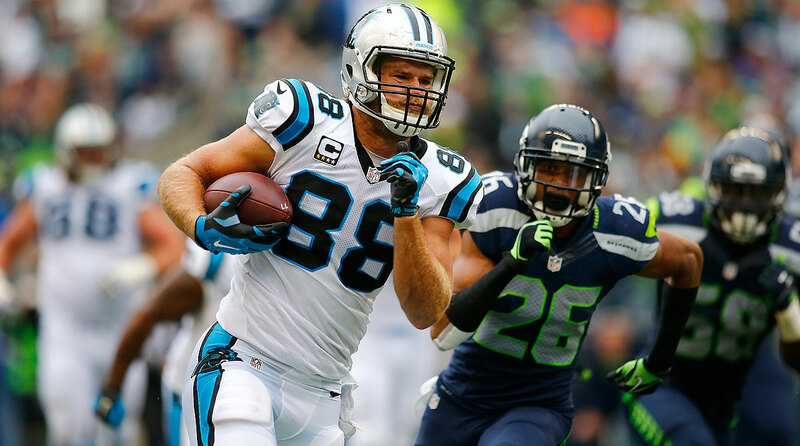 A Greg Olsen touchdown in the final minute gave the Panthers a 27-23 win over the Seahawks in Week 6. The rematch is Sunday. Intriguing game. The Chiefs have won 11 straight, by an average of 16.4 points, while New England finished the season on a downer, losing four of six. It looked like New England was coasting to the finish line, though; the Patriots’ Week 17 game against Miami was one of the strangest attempts at barely trying in a regular season game in years. The offensive line needs to be better, and healthier, for the Patriots to make a seventh Super Bowl in the Belichick/Brady Era. But the K.C. Express might be flawed in Foxboro. Jeremy Maclin, who has 90 catches this year, suffered a high ankle sprain in the win over the Triple-A Texans, and it’s not known if he’ll play. Lucky for Alex Smith that young receivers Chris Conley and Albert Wilson are becoming impact players. Smith will need Conley and Wilson to make plays if Kansas City is to have a chance to make its first AFC title game in 22 years. New life for the Packers. Did you see how many times FOX caught Aaron Rodgers smiling Sunday evening at Washington? I mean, “one” would have been a massive increase over recent weeks. Sunday was the first time all season that Randall Cobb and Davante Adams scored touchdowns in the same game, and Green Bay had two rushing touchdowns too. Also notable was the amount of TV time the young defensive backs got against Kirk Cousins. Green Bay opened in nickel and played nine defensive backs in the game. Expect more of the same in Arizona on Saturday night. When the two teams met in Glendale two weeks ago, Arizona built a 31-0 lead after 26 minutes and generally had its way with the Packers. The Cardinals have so many weapons, and rested ones. But the trip to Landover breathed life into Rodgers, and I expect the game to be much more competitive than the last meeting. Four regular-season meetings between the Pete Carroll Seahawks and the Ron Rivera Panthers. Seattle by 4 in 2012. Seattle by 5 in 2013. Seattle by 4 in 2014. Carolina by 4 this season. What’s always interesting in a divisional-round game is how the two teams enter in different states. Seattle comes off an emotional firestorm of a North Pole game in Minnesota, then travels for a second straight game at 10 a.m. PT. Carolina has been able to get extra rest for Ted Ginn Jr. (knee), who missed Week 17, and with two of the top four corners (Bene Benwikere and Charles Tillman) out for the year, Josh Norman and Cortland Finnegan will have to be every-down factors against Russell Wilson. Wilson versus Cam Newton should be appointment TV for the next decade in the NFL, and the best man will be the winner Sunday. Speaking of beat-up teams, we give you the Pittsburgh Steelers, who enter the week with their three most important offensive players in uncertain physical condition. Ben Roethlisberger (shoulder) told offensive coordinator Todd Haley not to call any deep passes when he re-entered Saturday night’s prize fight with the Bengals, and though no one can imagine Roethlisberger sitting out the Denver game, he won’t be healthy for it. Antonio Brown is in the concussion protocol, though he told teammates he was fine in the locker room Saturday night. And DeAngelo Williams (right foot sprain) is iffy. Peyton Manning, on the other side, was extremely lucky to get the extra rehab time on a plantar-fascia-addled foot that still vexes him. Any game that might be Peyton Manning’s last is must-see TV—and I have no idea if he’ll play next year or not, but at 39 with the kind of physical problems Manning has had, you always have to think a January game could be his last. I think this game turns on Roethlisberger’s ability to cut it loose. The Broncos are a terrific run-defense team, so if the Steelers can’t use their deep threats, it’s hard to imagine them making enough plays to win. 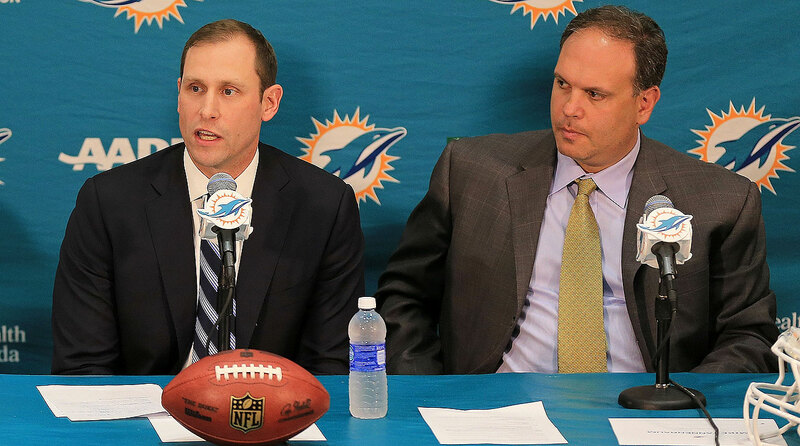 Dolphins vice president Mike Tannenbaum (right) introduced Adam Gase as the team’s new head coach on Saturday. The MMQB: You’ve gotten a reputation of forming your offense around the players you have, not vice versa. Was that an important part in your getting this job? The MMQB: No one doubts your offensive acumen, but you’re a fairly mild-mannered guy, and I’ve heard that affected some teams’ opinions of you as you’ve interviewed. Can you command a room? The MMQB: Your next project will be Ryan Tannehill. Can you help him become consistently good? Very interesting point regarding Tannehill from Armando Salguero of the Miami Herald on Sunday: Salguero reported former Dolphins coach Joe Philbin had soured so much on Tannehill before the 2014 season that he favored taking Derek Carr high in the draft. I get the sense that Philbin wasn’t alone in the organization. 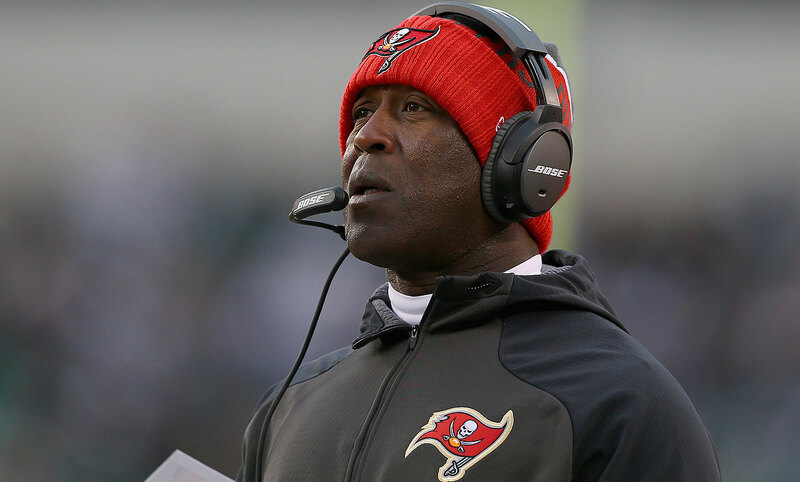 Lovie Smith coached the Buccaneers for two seasons before his firing last week. We take for granted that owners have a much itchier trigger finger with head coaches today than they did yesterday. The Browns are in the midst of hiring what will be their sixth head coach since 2008. The Bucs change coaches every 10 minutes or so, and it’s not a normal post-season if the Raiders aren’t searching for a coach; they’ve had nine since the turn of the century. So I wanted to see just how knee-jerk owners have become; it’s fashionable to say coaches today have only two years to win before they’ll be judged and perhaps fired, while maybe 30 years ago owners had real patience. *The Texans did not commence play until 2003, so they were excluded from this exercise. Houston has had four coaches in its 13-year existence. That’s an increase, surely, going from an average of 3.93 coaches per team in a 16-year period starting 40 years ago to 4.23 coaches per team between 2000 and 2015. But it’s hardly an overwhelming surge in hiring-and-firing. In fact, the increase of 7.6 percent in the number of coaches per franchise from yesterday’s era to today’s is notable, but not what any of us would have thought. I’d have guessed around 25-30 percent. But the trend here is that there really isn’t much of a trend. Buffalo: six coaches from 1976 to 91, and seven so far this century. The Jets, Cardinals and Falcons: five and five. The Chargers and Rams: four and four. Some teams have been schizophrenic, though. Cleveland had five coaches in the first era, and this month will hire its eighth. Oakland: four and nine. And we’ve seen the iconic ones in both eras. Miami: one (Don Shula) from 1976 to ’91, five this century. New England: six from 1976 to ’91; one (Bill Belichick) this century. Just some food for thought, that things aren’t always what they seem. 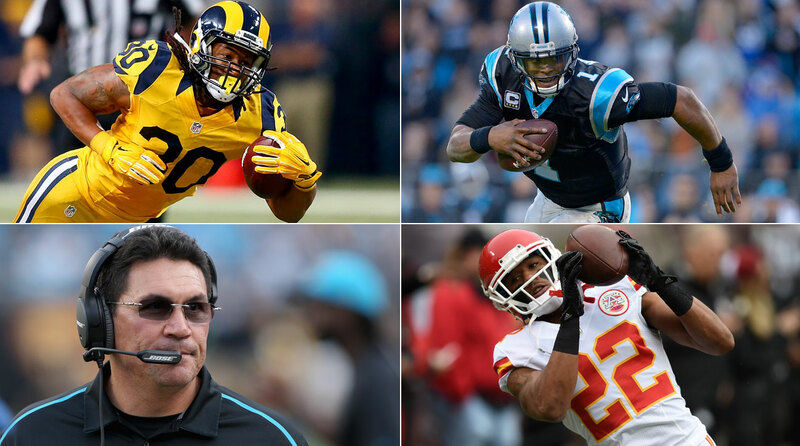 Clockwise, from top left: Todd Gurley, Cam Newton, Marcus Peters and Ron Rivera. WR: Julio Jones, Atlanta; Antonio Brown, Pittsburgh. TE: Rob Gronkowski, New England. T: Joe Thomas, Cleveland; Zach Strief, New Orleans. G: Richie Incognito, Buffalo; Marshal Yanda, Baltimore. K: Stephen Gostkowski, New England. P: Johnny Hekker, St. Louis. DE: J.J. Watt, Houston; Michael Bennett, Seattle. DT: Aaron Donald, St. Louis; Kawann Short, Carolina. OLB: Khalil Mack, Oakland; Jamie Collins, New England. ILB: Luke Kuechly, Carolina; Deone Bucannon, Arizona. CB: Josh Norman, Carolina; Richard Sherman, Seattle. S: Reggie Nelson, Cincinnati; Harrison Smith, Minnesota. Most Valuable Player: Cam Newton, Carolina. Defensive Player: J.J. Watt, DL, Houston. Coach of the Year: Ron Rivera, Carolina. Assistant Coach of the Year: Josh McDaniels, New England. Comeback Player: Eric Berry, safety, Kansas City. Offensive Rookie: Tyler Lockett, WR, Seattle. Defensive Rookie: Marcus Peters, CB, Kansas City. Marvin Lewis has coached the Bengals for 13 seasons but has never won a playoff game. —CBS’ Boomer Esiason, on the network postgame show Saturday night. —Cincinnati defensive end Carlos Dunlap, after Cincinnati beat Cincinnati Saturday night, to Kim Jones of NFL Network. —Flight attendant on a Saturday Alaska Airlines flight from Seattle to Minneapolis, according to Danny O’Neil of 710-ESPN Seattle. —Hall of Fame general manager Bill Polian on what he’d do if he had to make a decision whether to keep troubled quarterback Johnny Manziel, on SiriusXM NFL Radio. —Tom Coughlin, who resigned as Giants coach last week, in his press conference announcing his departure, to Eli Manning in the audience, trying to absolve him of the blame for the Giants going 6-10 in back-to-back seasons and getting the coach fired. —The St. Louis Rams’ proposal, submitted to the league, explaining why, in part, the franchise should be allowed to move to Los Angeles and not accept a new stadium deal in St. Louis. —Dave Peacock, chairman of the task force trying to build a new stadium for an NFL team in St. Louis, on Sunday. Bowie, 69, died on Sunday after an 18-month battle with cancer. His publicist announced the death early this morning. If you’re out long enough at a bar with a jukebox with music from my era on it, a Bowie song will come on. And you’ll enjoy it. 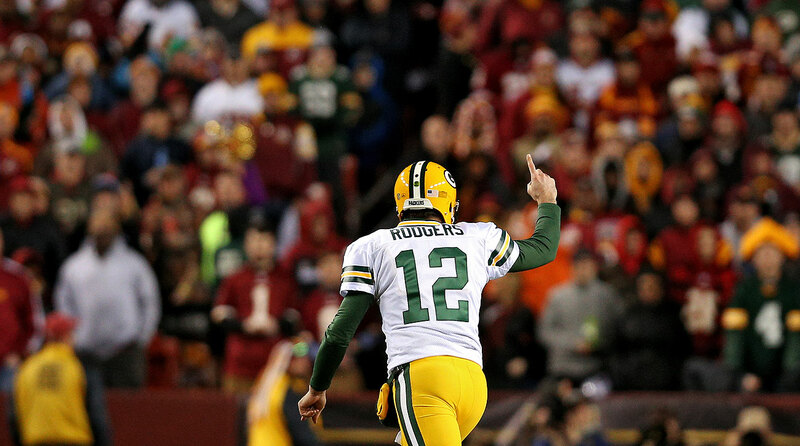 Aaron Rodgers’ career playoff record is 7-5 after Sunday’s win in Washington. Aaron Rodgers, quarterback, Green Bay. He’s had better statistical days than 21 of 36 for 210 yards and two touchdowns with no picks. But the Packers went punt-safety-punt-punt on their first four possessions at Washington and trailed 11-0 in the second quarter. This season was going down the drain, and fast. Over the next 30 minutes of game time, Rodgers led 80-, 60-, 80- and 76-yard touchdown drives, and the Packers not only survived a game they were on the way to losing but also dominated it—and Rodgers had his game back. Ryan Shazier, linebacker, Pittsburgh. This game reminded every fan of Shazier entering the 2014 draft—and there were many in draft rooms around the league—why they loved him. He had 13 tackles and was important in holding the Bengals without a point for the first three quarters. He had two forced fumbles that the Steelers recovered, including the season-saver, stripping Jeremy Hill in the final two minutes, starting the Steelers on the game-winning field-goal drive. His sideline-to-sideline play-making in this game was as good as in any in his two-year career. Steve Hauschka, kicker, Seattle. One of the game’s best playoff kickers, Hauschka hit his 14th field goal in 14 career playoff attempts … and this one had very big meaning. With the temperature three-below zero and the winds blowing across the field, Hauschka booted the go-ahead field goal in the Seahawks’ 10-9 win over Minnesota. Knile Davis, running back/kick returner, Kansas City. He certainly started the playoffs with a bang. On the first play of Saturday’s wild-card game at Houston, Davis silenced the crowd by slicing through the Texans’ special teams for a 106-yard kick return for touchdown—the first Kansas City special-teams touchdown of the year and the longest non-Super Bowl touchdown in NFL playoff history. A rewarding moment for Davis, and one of the best special-teams coaches in recent history, Dave Toub of the Chiefs. But poor coverage by the Texans contributed for sure. Davis was gone by the time he got to the Kansas City 25. Bob Sutton, defensive coordinator, Kansas City. He wasn’t the most popular choice when Andy Reid named the 62-year-old Sutton his defensive boss in 2013. But Sutton, the former head coach at Army, pitched a shutout at Houston on Saturday, and his unit took the ball away five times in 12 possessions. It’s a credit to him that his unit has been so stout during the Chiefs’ 11-game winning streak, allowing just 11.6 points per game. Blair Walsh, kicker, Minnesota. I feel pretty lousy kicking the man when he’s down. Especially after Walsh was perfect on 22-, 43- and 47-yard field goals on a day with a wind chill well below zero. 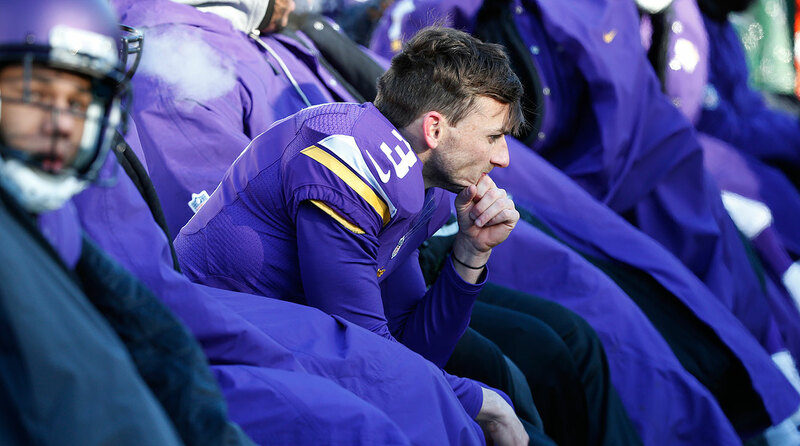 Born in Boca Raton and schooled in Fort Lauderdale and Athens, Ga., Walsh did great Sunday … until the 60th minute of the game, when he yanked a 27-yard attempt that would have won the game and sent the Vikings to the divisional round. “I cried,” said Vikings play-by-play man Paul Allen. I get the feeling he wasn’t alone in Minneapolis-St. Paul on Sunday afternoon. Vontaze Burfict, linebacker, Cincinnati. He went from hero to goat with one ridiculously flagrant hit to the helmet of defenseless Antonio Brown on the decisive drive of the wild-card game Saturday night. Burfict’s unnecessary-roughness penalty with 18 seconds left put the Steelers in range for the winning field goal, and Adam Jones’ additional personal foul in the ensuing melee made Chris Boswell’s winning kick the equivalent, basically, of an extra point. Burfict had been having one of the best games of his life, with a crucial sack of Ben Roethlisberger, a pick of replacement Landry Jones and a forced fumble. But the hit on Brown ruined it. Jeremy Hill, running back, Cincinnati. All Hill has to do in the final 100 seconds, with a 16-15 lead at the Steelers 26, is hold onto the ball with both hands and try to get a few yards to kill the clock and force Pittsburgh to use all its timeouts. Hill failed. He was stripped by Ryan Shazier. “Inexcusable,” said Hill. “I thought I had it tucked pretty tight.” The rest is tortured Bengals history. Brian Hoyer, quarterback, Houston. In a game that was winnable for Houston, Hoyer handed it to the Chiefs. He turned it over four times in the first half—three interceptions (two horrendous ones, as though the Chief defender was the intended receiver) and one strip/fumble in the pocket—leading to the 13-0 halftime lead for Kansas City. It almost got worse on the first series of the third quarter, when Hoyer threw a catchable interception that Chiefs cornerback Sean Smith dropped. Hoyer had five turnovers for the game, adding a fourth pick in the second half. As much as it will pain Texans coach Bill O’Brien to do, this game will drive Houston into full quarterback-search mode in free agency and the draft. Drew Brees’ 60,903 career passing yards is fourth on the all-time list, behind Manning (71,940), Favre (71,838) and Marino (61,361). • When Brees arrived in New Orleans in 2006, there’d been one 5,000-yard passing season in the first 86 seasons of NFL history (Dan Marino, 1984). 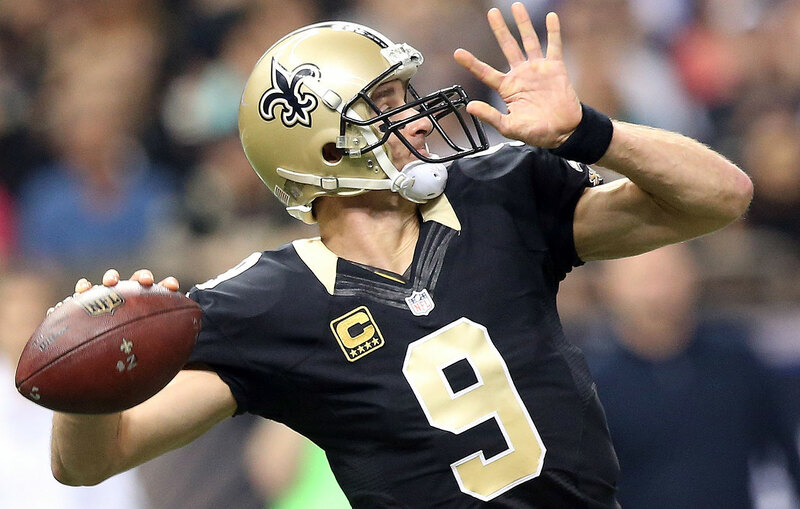 Brees surpassed 5,000 four times in his first eight years with the Saints. • Before 2006, the NFL had seen 26 quarterbacks throw for 4,300 yards passing in a season. Brees exceeded 4,300 in all 10 Saints’ seasons. • Fran Tarkenton retired in 1978 after playing 18 seasons, and when he did he held the record for career NFL passing yards, with 47,003. That record stood for 17 years. Brees, in 10 seasons in New Orleans, threw for 48,555 yards. • Tarkenton, 18 years: 342 touchdown passes. Brees, 10 years in New Orleans: 348. • Dan Marino’s best 10-year run of touchdown passes (1983-92): 290. Brees, 2006-15: 348. It is noteworthy that in his 10 seasons in New Orleans, Brees has averaged 39.7 passes per game. Marino averaged 34.5 per game for his career, and Tarkenton 26.3. So that certainly plays a major role in the big Brees numbers. But I still find them remarkable, for any era. Whatever the future holds, Brees—for what he did on the field and off, for being such a crusader for post-Katrina New Orleans—deserves a permanent place in the hearts of the sports fans of New Orleans, and for the people there (I’m guessing seven or eight) who don’t live and die with the Saints. I don’t want to rain on anyone’s playoff fun this morning, but I’ve always found the system of NFL playoff shares to be ridiculous. This is an extreme example, but a real one: For playing in a wild-card playoff game Saturday night, all-world wide receiver A.J. 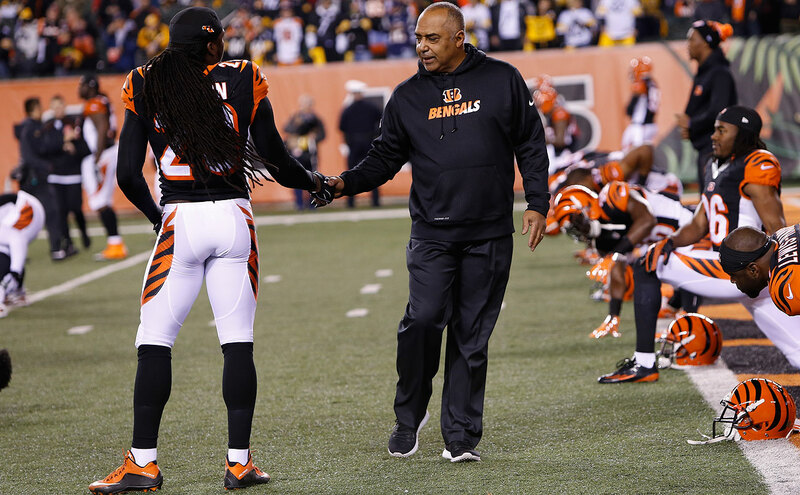 Green of the Bengals made 3.6 percent of what he made for a regular-season game in 2015. You can look it up. Green’s 2015 base salary was $11.75 million. He gets 17 weekly paychecks, so per week, he’s making $691,176. For players on a division winning team (as Cincinnati was), the wild-card week payment is $25,000. Hmmm: $691,176 per game in the regular year; $25,000 for what is Cincy’s biggest game of the year at the time. Of all the ways the owners in the NFL have a huge advantage over the players, playoff compensation is far and away one of the most egregious. The Wall Street Journal reports that there have been 20 newborn babies given the name “Saban” in Alabama since 2007. The Vikings are handing out window scrapers in the press box. So, yeah, cold. Texans are like puppies. So excited to be here and can't help but pee all over the carpet. The former Tampa Bay tackle was let go by the Bucs in 2014, when Lovie Smith took over as coach. A fan, riffing on the Browns’ selection of longtime baseball analytics guru Paul DePodesta to be the team’s chief strategy officer. DePodesta used to work for the Oakland A’s and GM Billy Beane, who once dubbed minor-league infielder Kevin Youkilis “the Greek God of walks,” with walks and on-base percentage being a very desirable trait in the A’s system at the time. I still don't get why some fans crave Peyton Manning being guilty of HGH use so much. It's like it consumes them. I don't understand it. 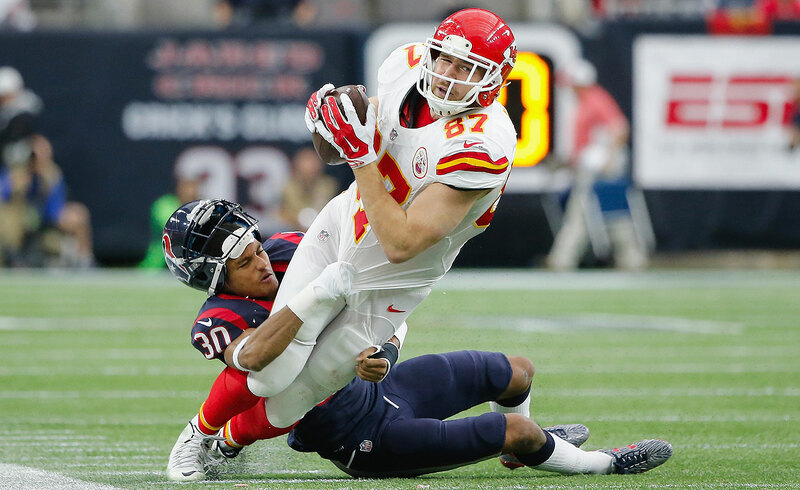 Houston’s Kevin Johnson lost his helmet trying to tackle Kansas City’s Travis Kelce on Saturday. a. Bud Grant, going out for the coin flip before Seahawks-Vikes in a short-sleeve polo shirt … on a day with minus-6 temperatures. b. Michele Tafoya’s outdoor wardrobe in Minnesota, which included a back-warmer and thermal ear protectors. I didn’t know either of those were actually manufactured. c. Richard Sherman’s underrated physicality. d. Great tackle by Vikings cornerback Xavier Rhodes on Christine Michael in the open field … roadblocking what could have been a 20-yard run. e. Seattle safety Earl Thomas making a great play to disrupt what would have been a long gain by Jerick McKinnon. f. The broken play-turned-34-yard gain for Seattle in the fourth quarter. Just an amazing recovery and play by Russell Wilson. g. Bruce Irvin and Jeremy Lane, with huge plays on the Vikings’ second-to-last drive of the fourth quarter, forcing Minnesota to punt. h. The 48-yard net punt by Minnesota punter Jeff Locke with 2:13 left in the game, in the Minnesota freezer. i. The ridiculous one-handed twisting catch by Doug Baldwin. j. Jordan Reed’s one-handed catch, not as spectacular, but still really good … soon to be followed by the perfect post pattern he ran for a touchdown. k. Preston Smith. He is the NFL’s most underrated rookie defender. l. Green Bay’s goal-line stand in the first quarter, keeping close what seemed like was about to become a lost cause. m. The Steelers’ ability to play away from Heinz Field when it counts. Over the past 28 days, Pittsburgh went 3-1 in division games on the road—Dec. 13: Steelers 23, Bengals 20; Dec. 27: Ravens 20, Steelers 17; Jan. 3: Steelers 28, Browns 12; Jan. 9: Steelers 18, Bengals 16.
n. The Martavis Bryant touchdown catch. My lord … how’d he do that? How’d he catch the ball from behind and hang onto it while doing a flip? o. Ryan Shazier with the great strip in the final minutes to give life to the Steelers. p. Adam Jones, always a dangerous punt returner, with his 24-yard return with 3:24 left. q. Former NFL scout Dan Hatman on the life of the NFL GM in 2016, and the candidates you should know. r. Way to upend Travis Kelce on a perfect legs-over-head tackle, Johnathan Joseph. s. Speaking of Kelce, the Chiefs’ tight end, what a weapon he is. He was Gronk-like Saturday, with a game-high eight catches for a game-high 128 receiving yards. t. Houston’s Whitney Mercilus, with three sacks of Alex Smith, giving him 6.5 sacks in the past two games … one of Houston’s very few bright spots. u. Heck of a throw and catch by Alex Smith and rookie Chris Conley, the nine-yard third-quarter touchdown laser that iced the game for the Chiefs. Hard to believe Conley was able to hold on to that dart. v. The 13-tackle, one-pick game for Houston linebacker Brian Cushing, who’s been waiting to have a playoff game like that. w. Allen Bailey, the forgotten Chief, with two sacks of Brian Hoyer. Every playoff team needs good players like Bailey to supplement the very good ones. a. The crushing disappointment for Minnesotans. I just can’t imagine what it must be like to be a Vikings fan this morning. b. DeSean Jackson not getting in for the touchdown in the first quarter against Green Bay. A receiver has to know the rules, and know he needs to either have the ball break the plane of the goal line or get a foot in the end zone. Jackson did neither, and that, plus a bad goal-line offensive series, cost Washington four very big points. c. Washington’s coverage on the Aaron Rodgers-to-Davante Adams touchdown pass late in the first quarter. Nonexistent. d. Seattle long-snapper Clint Gresham cost the Seahawks three points with a low punt snap in the first quarter. It turned into a Blair Walsh field goal. e. Seattle’s handling of the play clock throughout the first half. f. Adrian Peterson’s eighth fumble of the season (and 41st of his career), in the fourth quarter, with the Vikings trying to hold on to a 9-7 lead. Inexcusable. g. Holding onto the ball is such an Achilles heel for Peterson. It’s such a major pockmark on an otherwise great career. h. The pass-interference call on Kam Chancellor in the final minute. Just didn’t see it. i. AJ McCarron for three quarters. j. The Bengals crowd, for throwing items at Ben Rosethlisberger when he was injured and being carted from the field with his shoulder injury in the second half. Disgraceful. k. The penalty on Steelers offensive line coach Mike Munchak on the sideline. It wasn’t a penalty. l. A.J. Green not being on the field for the Bengals’ vital two-point conversion try with less than two minutes left in the fourth quarter. m. I don’t want to jump on Jadeveon Clowney when he’s down, but you know that line about how 80 percent of life is showing up? The Texans have played 33 games since drafting Clowney first overall in 2014, and Clowney has suited up for 17 of the 33. I guess Clowney figured he was healthy enough to play Saturday and left the stadium in a huff when he found out he was inactive. Okay, let’s give him that one. If he’d dressed, it’d have been 18 of 33. He’s got to figure out a way to stay on the field, obviously. With 4.5 sacks in his first two seasons, all the geniuses out there are readying the “B” word for Clowney. Readying, I said, because it’s way too early to call him a bust. n. Oooof on that eight-inches-too-far overthrow by Alex Smith that would have made K.C.-Houston 14-0 after seven minutes. o. Lord, who was Brian Hoyer throwing to on that first-quarter pick? What an awful throw. p. Texans: five quarterback turnovers, five punts. r. Burfict gets no benefit of the doubt from me, particularly after seeing that video of his bush-league hit on Maxx Williams of the Ravens in Week 17. 4. I think the word on the coaching circuit is that Jon Gruden would have listened, very earnestly, if the Indianapolis job came open. 5. I think the one vivid image I have from the last week in football is this: walking through the Pro Football Hall of Fame last Wednesday before the announcement of the 15 modern-era finalists for the Class of 2016 with Hall of Fame defensive end Bruce Smith, and seeing him look around at the busts and some of the exhibits. He stopped in front of a Jim Brown display to stare, almost dreamily. I asked: “How does it feel to you now, walking through here, knowing you’re on the same team with a guy like Jim Brown?” Smith just shook his head. “Unbelievable,” he said. “I still can’t believe I’m in here. It’s surreal. It’s just …” and that was it. Don’t get Smith wrong: the all-time leader in sacks knows he deserves to be one of the 295 men with busts in Canton; it’s just that when he’s in the building, it’s still awe-inspring to him. One other point I found interesting, talking to him: Smith spent two full days in Utah at the studio of the man who created his bronze bust for the Hall. That’s how important it was to him—he wanted the bust to be exactly him. 6. I think it could be an offensive year for the Hall of Fame: Ten offensive players, three defensive players and two coaches are on the list of 15 finalists. The most glaring omission, I thought, was left tackle Tony Boselli of Jacksonville, whose career was cut short by shoulder injuries. I’m not positive Boselli should be enshrined, but I certainly believe his case should be heard. For five years in the late ’90s, I thought he was the best left tackle in football—better, for a short period anyway, than Jonathan Ogden and Orlando Pace. What hurts him, obviously, is having played 91 games. But his 90 starts are three more than center Dwight Stephenson had for Miami; Stephenson made it as the best center for a four- or five-year period. His career was also cut short by injury. b. This, from The MMQB’s Jenny Vrentas, is a reasoned, emotion-free look at why Alex Smith is actually good, whether you think so or not. c. Tom Brady’s agent, Don Yee, wrote a smart column for the Washington Post that will make you think about why the athletes in tonight’s NCAA college football championship game are getting ripped off. Yee writes that the “enormous flow of cash is carefully kept away from football and basketball players, but coaches, administrators and other staff members get to bathe in it.” Good line. Seems like a matter of time before Alabama and Clemson players, and others, get paid. d. This well-written gem from Masslive.com’s Kevin Duffy, about former Hoffman Air & Filtration engineer Matt Patricia, who sold multistage centrifugal blowers to wastewater treatment plants. Oh, and then he became a candidate to be an NFL head coach. It’s a great story about New England’s fairly educated defensive coordinator. e. SI’s baseball writer extraordinaire Tom Verducci weighing in on someone he knows well, Paul DePodesta, the longtime baseball analytics guy hired by the Browns to try to turn around a woebegone franchise. DePodesta is endlessly curious, always looking for a better way. Heaven knows if it’ll work in football, but Verducci paints a compelling picture. 8. I think though I’ve see precious little college football this season, and though I like how much fun Dabo Swinney is bringing to the table at Clemson, I’ll take the Sabans tonight, for defensive reasons. Alabama 24, Clemson 20. 9. I think I strongly recommend the re-airing of Super Bowl I (“Super Bowl I: The Lost Game”), part of which I got to see the other day. The three-hour show will air Friday on NFL Network at 8 p.m. ET. NFL Films unearthed the only known broadcast version of the game, which aired on both CBS and NBC with different announcing crews; in those days, CBS was the NFL’s network, and NBC was the TV partner of the American Football League, which was soon to merge with the NFL. This footage had the NBC guys in the booth and showed the old-fashioned way of introducing the teams. Very cool. So the Chiefs were introduced, and they ran from behind the goalpost out maybe 30 yards, then peeled off to their bench, pausing for a second so the camera could focus on their faces. Kansas City quarterback Len Dawson looked so young. The game was broadcast without graphics and clutter. Replays happened at regular speed. And the announcers called the game “the Super Bowl” on a couple of occasions, which Chiefs owner Lamar Hunt started using informally about six months before the game … and which became the official name with Super Bowl III. After the game, NFL commissioner Pete Rozelle was interviewed by a rakish Pat Summerall, and Rozelle revealed that the following summer every team in each league would play at least one preseason game against a team from the rival league. A really interesting show. Worth your time. a. Great story by Bill Barnwell on what it takes to lose 125 pounds. Really terrific effort by him. c. Go see Concussion, Mr. Trump. See what the helmet-to-helmet hits, repeated ones, do to people. It’s getting harder and harder to think the big hits don’t contribute to head trauma issues later in life. d. We could debate the good and bad of football all day. But to say the lords of football shouldn’t be trying to get the helmet-to-helmet hits out of the game is dangerous and wrong. e. I’m really starting to like spin classes. I even don’t mind the loud music, and the near-darkness. But for anyone who gets on a bike for 45 minutes in one of these sessions, a question: Does the shouting by the instructor get a little annoying? And can you understand even a third of what he/she is saying? f. Coffeenerdness: Thank you, Hydro Flask. Four hours of hot Italian Roast this morning. These vessels that keep hot things hot used to turn hot things into lukewarm things. Now the temperature never goes down. What a country! g. Beernerdness: Tried the Two Roads Brewing No Limit Hefeweizen (Stratford, Conn.) and liked it quite a bit. Maybe more than a hint of banana/pineapple, but pleasant to drink. h. I overnighted in Cleveland after doing a Hall of Fame TV show the other night on NFL Network and a bad thing happened. I turned the TV on when I got back to the room near midnight and began flipping the channels and there it was—the theme song to Perry Mason, the courtroom drama from a half-century ago that’s one of my favorite series ever. What timing. Have you heard the theme song? So of course I had to watch it, and it robbed me of an hour of sleep. I loved it that night; not so much at 6:30 in the morning. i. We saw The Big Short. Liked it a lot. Was amazed by Steve Carell’s range of acting talent. So many people as funny as Carell get lost trying to do something else, to spread their wings. Not Carell. Michael Scott was a character for Carell, not a career. Congrats to him for being so good, and for being so versatile. j. Hey Volkswagen: I’m a 2014 Clean Diesel owner waiting for the recall, and dragging your feet is really ticking me off. Drowning sorrows in Grain Belt. Twins might not be bad.